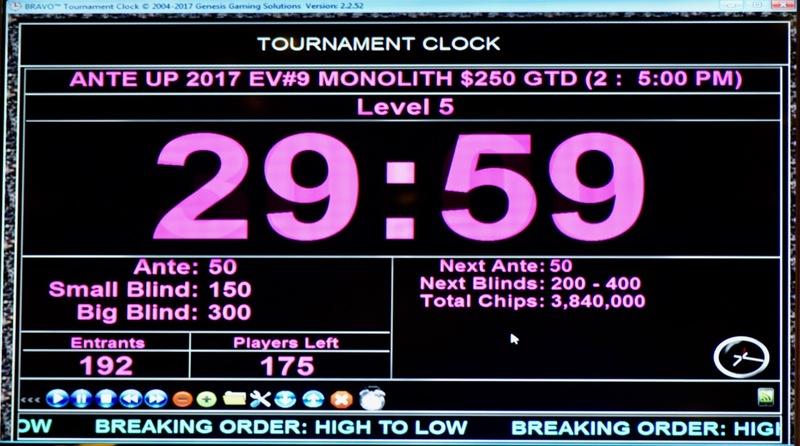 Registration has closed on the third of four flights in the $455 Monolith with a $250,000 Guarantee - Event 9 in the Ante Up Worlds - and the board shows 192 entries. Add this to the 182 from this morning and 128 from last night and there's now 502 entries for this tournament - with Saturday's massive-entry Day 1D. 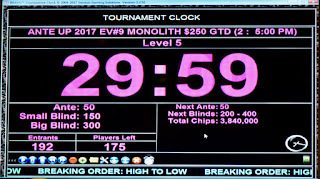 This is the first time the Monolith - TVPokerRoom's signature event - has topped 500 entries though 3 flights since moving to a 1+1 entry format.